The Executive Jacket for the Apple iPad 1 & 2 is an exceptional accessory for sophisticated, on-the-go tablet users. Whether in the office, at a business meeting, or attending class, the Executive Jacket provides refined and stylish protection of your iPad in a superior case. 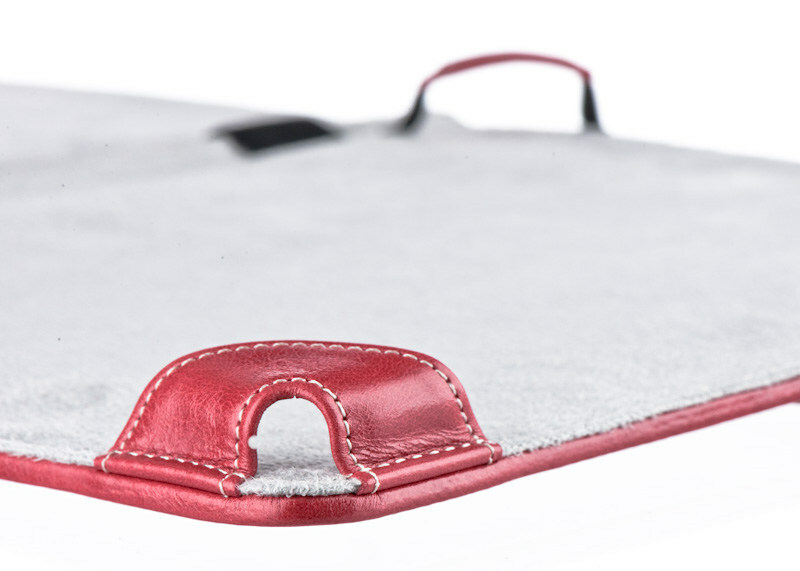 The Executive Jacket offers full surface protection while the soft grey interior ensures your iPad will always be cushioned in comfort. The jacket utilizes a four point mounting system to hold your device firmly in place. This smart case includes interior pockets for storage of notes, business cards, and other essentials. Even while closed, you'll find access to all ports, so you'll never need to remove your tablet while charging. The Executive Jacket includes integrated elastic tabs along the interior spine to ensure effective ear bud cable management. 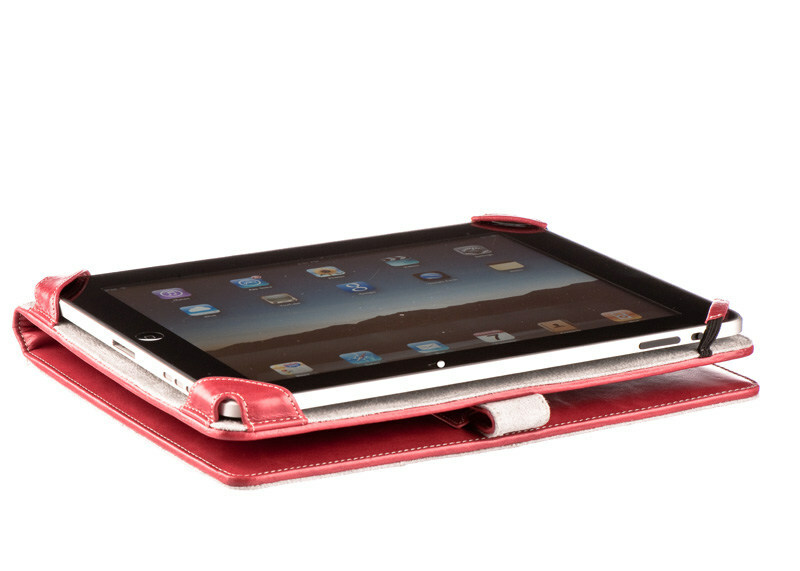 The M-Edge Accessories Executive Jacket for the Apple iPad is a sleek case that will protect your tablet from scratches and dings. It is the perfect solution for the user with a fashionable, active lifestyle. 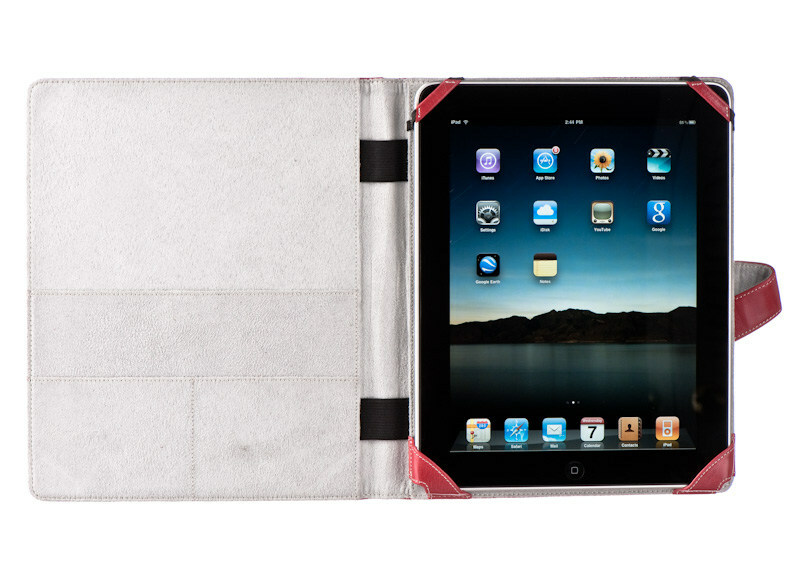 I purchased this for my first iPad when it came out and while the pocket seams are frayed and pulled out, it's still my favorite cover. 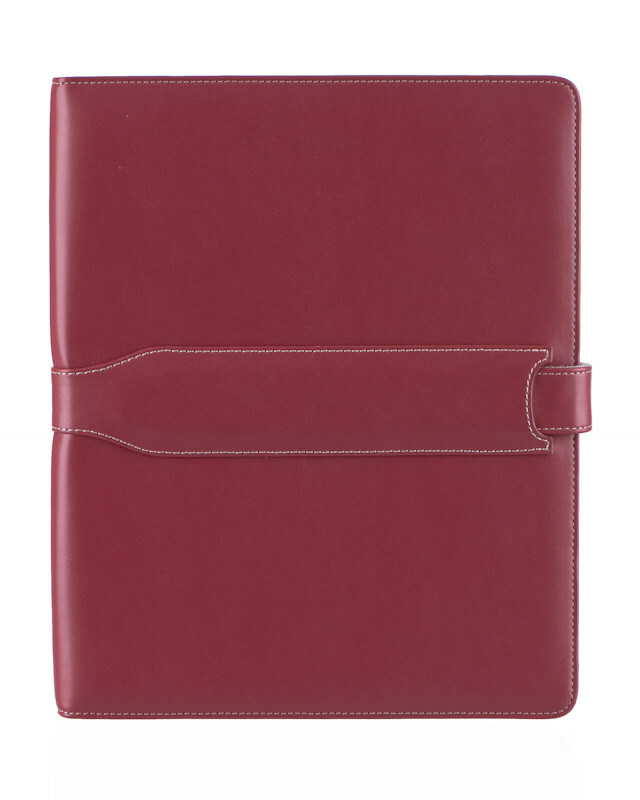 It's sturdy without being too bulky or hard to handle while the pockets and pen holder are extremely useful for traveling. 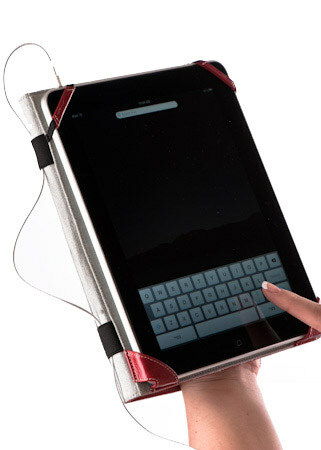 Putting in or taking out the iPad is also extremely easy for those times I don't need the cover. 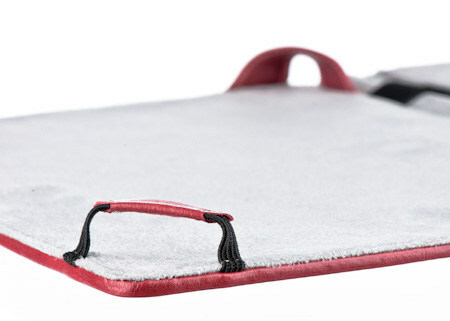 Here's hoping this case will show up for the 2012 iPad as well :)! Good product for the price. I feel like it protects my iPad 2. My only wish is that it enabled me to prop it up on an angle when I lay it on a desk or table top. 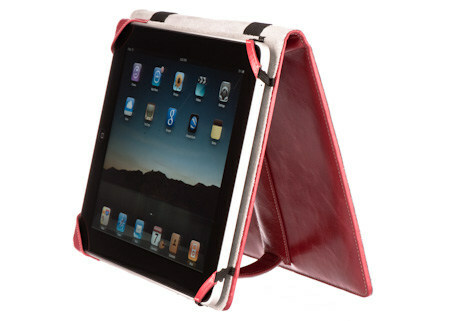 I bought this for my ipad 2 because I wanted a case that would stand up either horizontally or vertically on its own. This case does that very well. What I don't like is that it does not close tightly enough for the ipad 2, so the ipad doesn't go to sleep when you close it. My battery runs down pretty quickly with this one. I purchased the case for my Mother's iPad. I like the design of the case, and the tight fit the case has. 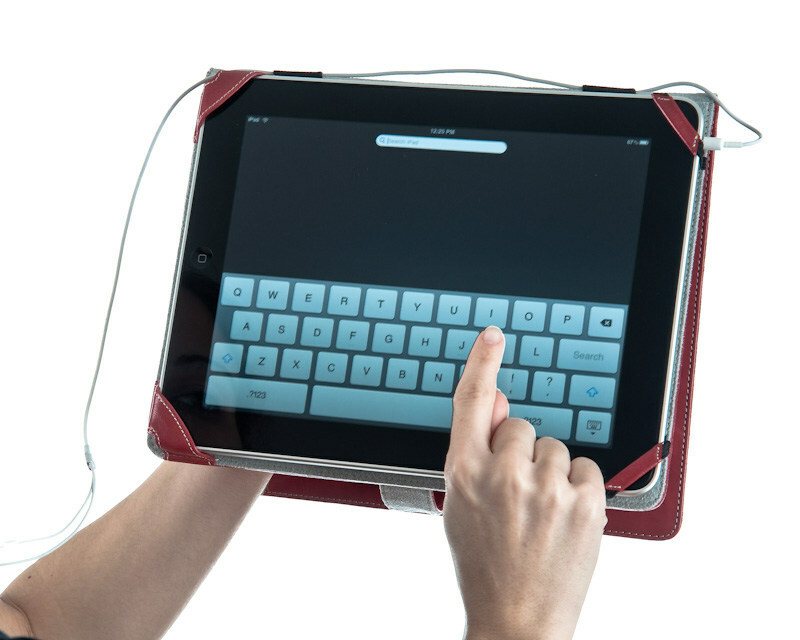 It ensures that the iPad will stay in the case when it's dropped, and the design and engineering of the case allows for all ports and switches to be fully accessible. Mine finally wore out after a whole year of continuous use! Please bring it back! I've been using the Executive Jacket with my iPad for more than a year now, and have been nothing but absolutely satisfied with it. I have the mocha leather, which looks very professional, and all the elastics and bindings have held up. No problems with the strap closure. There's an elastic in the center that holds my stylus, and you can prop the iPad up at different heights for easier typing by folding the strap over more than once. I carry my iPad with me all over the place and the case still looks great! When I first received the case I absolutely loved it. However over time the strap has gotten soft and it is not easy to push all the way into the case, thereby not securing the case closed Also, when opening the case to use ipad in landscape mode the light gray material is starting to look dirty. I am very happy with the cover I purchased. When I gave it to the person it was bought for it was fun to see him take off the very odd cheaply made cover he was using for his iPad2. Your products are top quality and your company is first class. My friend had this cover in red and I so admired it, so when I received my IPad I tried to order one. The red is no longer available so I ordered the Mocha (the only one available) not only is it handsome and long lasting as my friends' is two years old, it was on sale!!! 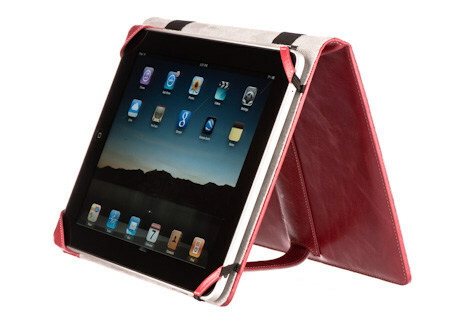 This cover is also very protective of the IPad ; a GREAT feature. This cover will not disappoint. t full price, and it is worth. 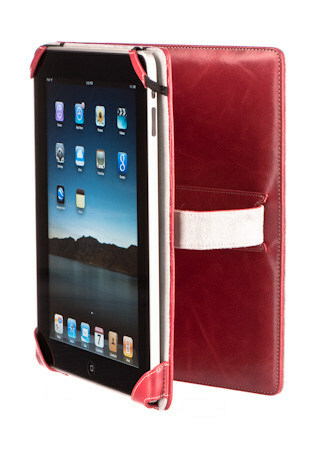 I have used it for my Kindle and my IPad. Getting another for this price is really a treat. Enjoy ! 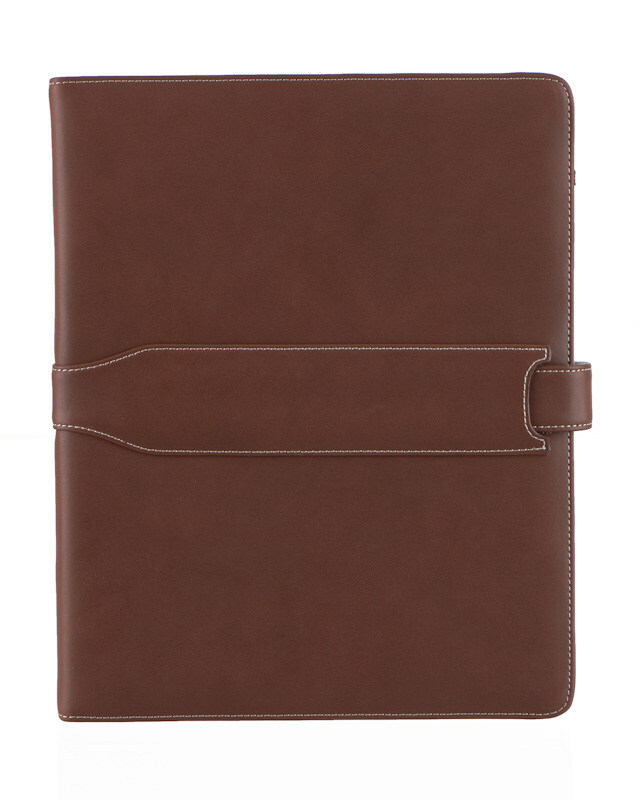 I purchased the executive jacket in Mocha, because my friend had the same jacket for the Kindle and it looked "professional" ... With the iPad 1, it adds a little bulk but does keep it protected from drops (as long as the flap is in place). This jacket does add a professional look to my device! FYI, the elastic corner came undone about 9 months into use BUT they replaced it with no hassles and sent a return label for the old one! Lifetime warranty for the life of the company on these types of issues ... can't beat that !!! I love this case. I bought it to use with my IPad 1. 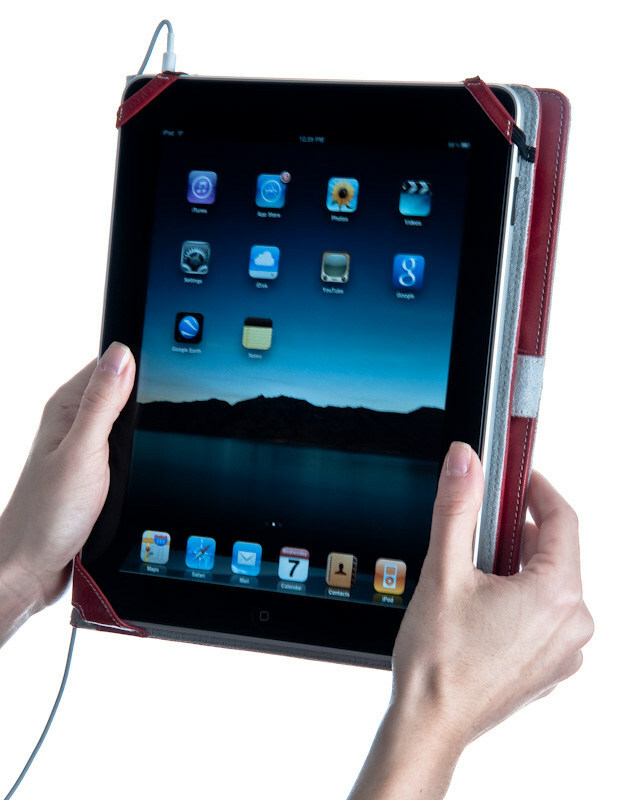 When I upgraded to IPad2, I kept the case and it works just fine. Although, it is a little loose because the new IPad is smaller, it still works wonderfully. It has been through lots of travel and still looks great after 1 1/2 years. Durable and functional. PLEASW BRING IT BACK! I bought an iPad 2 a year ago and despite the camera being covered up, this was my case of choice. I have never been sorry. I am ready to purchase another iPad and wanted this same jacket for it. I am so unhappy that it has been discontinued. 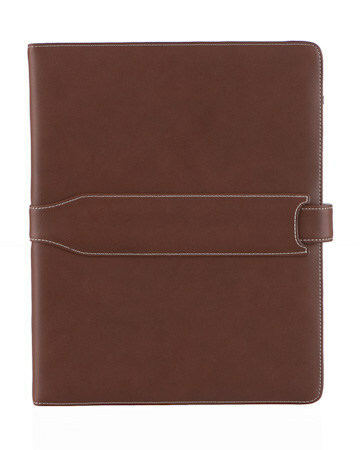 I like the leather, the side pocket, the closure strap and the thickness of the case. It is easy to hang on to and secure inside the case. This is a perfect design!!! I have dropped the iPad twice and it was totally protected and there was no damage. I like it. I use it for training our employees. We use the I pad as a sales tool in our store to teach the customer how to use our web site and also to help the customer determine which product will best serve their needs. In that we are mobile, the grip system on the Executive Jacket has to be solid to our hand. This it is. M edge has the best quality products available. These are my favorite gifts to give to my family and friends. Great gift, great quality, great price. no matter what device, they have the perfect choice. I had the same cover for my Kindle. I ordered the red cover and am very pleased with the purchase..... the 'Design Your Own' I bought for my new Kindle - not so much.... would not recommend it but will review on that page. Love this case so much I bought another. The red marble is beautiful. I hope the black is just as nice! 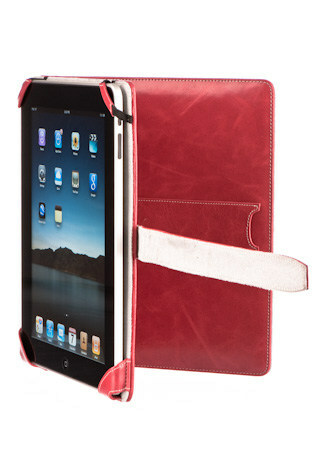 People are impressed that I have an iPad but even more impressed with the fuchsia pink leather executive cover! Excellent quality and very stylish. I'm sorry to see this discontinued! 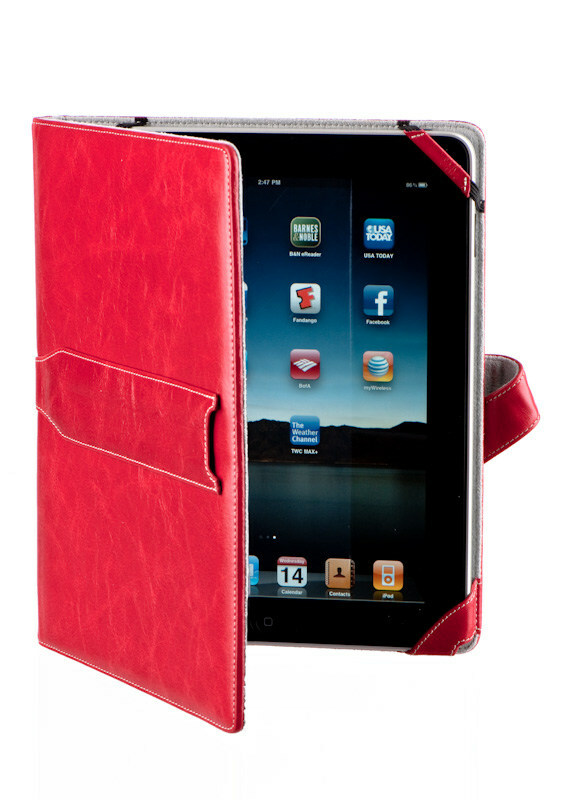 It was and still is the best cover I've seen and owed for my iPad2! I don't really use the camera reverse, so instead of discontinuing it I wish they would just alter it! Shipping was excellent! Way faster than I expected!! I own thus same case in red for my Nook and absolutely love it. 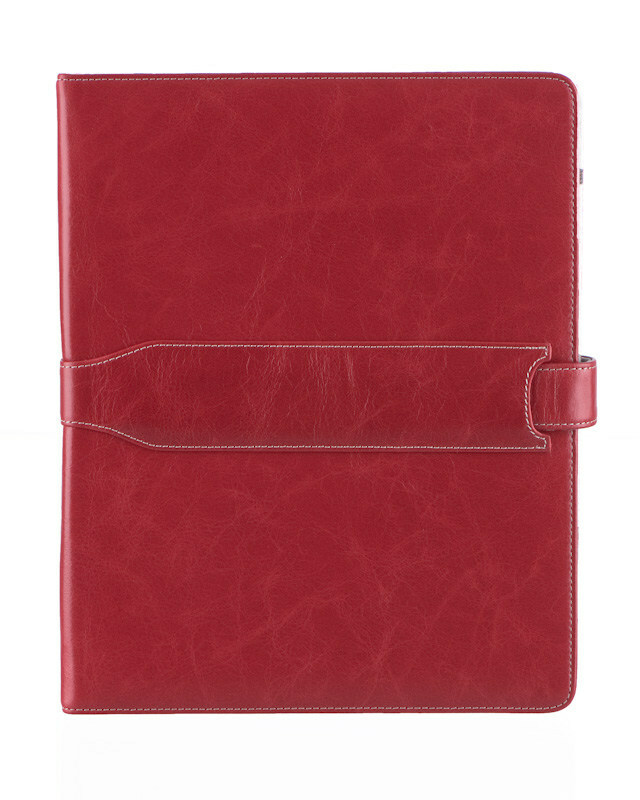 Besides the quality of the leather, the beautiful rich color,( I own an apple green for my iPad), it has a slim profile that slips in and out of my hand bag or full briefcase with ease. My complaint regarding my iPad case is that I can no longer close the case the case fully. The tongue strap that slips into a channeled sleeve, that secures the case close, has soften with use and I can no longer push the tongue in completely. But as I said previously, it does have a beautiful rich look, slim profile, besides doing it's job in protecting your iPad. The compartments are great for papers that hold information that you want to transpose into ayour iPad at later time. I love this case. I have the executive in green and want it in brown and purple. 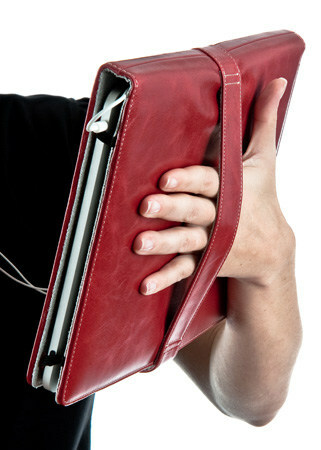 It opens like a book and is conservative as well as trendy. The pockets hold receipts and other paperwork. People stop and ask where I got it! I have the Platform jacket in purple and although I love the quality and color, I find it awkward to open and use. It is solid and protects my iPad beautifully. I have dropped it and traveled with it several times with no problems. It doesn't get any better!! I've tried several caes - some with fancy stands, some with more bells ad whistles, but this is always the case I come back to. It's smooth, light weight, and professional looking. Great color choices and it's held up well. Highly recommended. I've had this case since about July and let me say I LOVE IT. It is professional looking and keeps my ipad nice and safe - absolutely no dings or scratches on it and I've dropped the poor thing twice (on carpet). 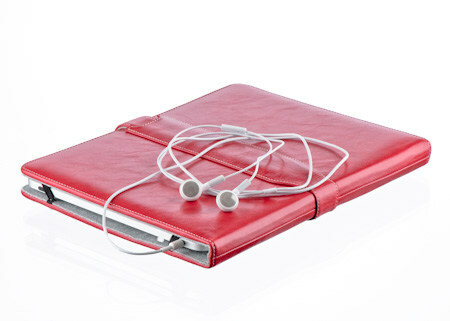 Love the pockets inside - I store business cards and promo postcards & keep my stylus clipped in the earphone bands. I have the purple color and it's lovely - not dull but not garish. 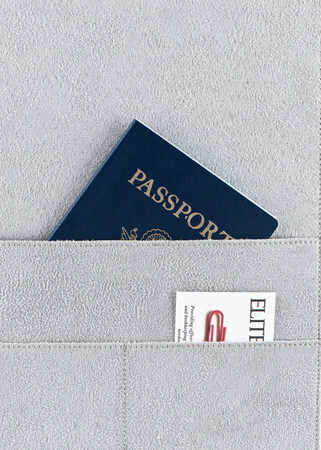 The decorative stitching is also nice and makes it look luxe.